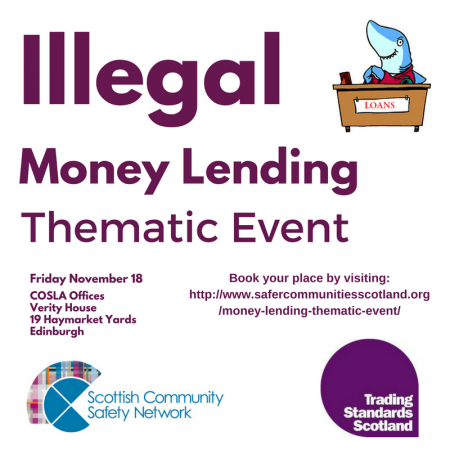 In partnership with Scottish Community Safety Network, Trading Standards Scotland hosted a thematic event on Illegal Money Lending. You can view the programme here. Illegal money lenders or loan sharks, are those who lend money to people without the valid credit authorisation. Loan sharks prey on the most vulnerable in our communities and cause immense misery. 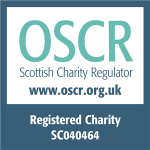 Trading Standards Scotland (TSS) works in partnership with local trading standards services across Scotland. The unit consists of specialist officers who investigate allegations of illegal money lending and related activity, submitting reports to the Procurator Fiscal as appropriate. The team also provide support for victims of illegal money lending and raise awareness of the dangers of borrowing from such lenders. 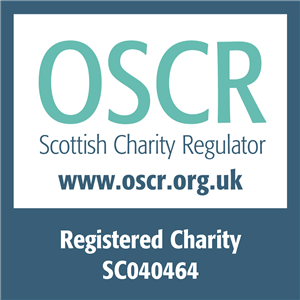 You can view a short interview we conducted with Fiona Richardson, Chief Officer at Trading Standards Scotland, here.